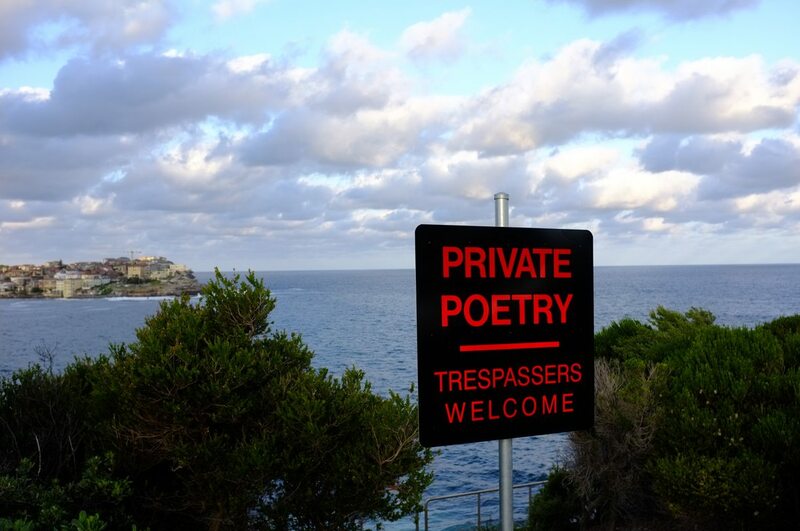 Image credit: Richard Tipping, Private Poetry, 2011, 2018, digital photographic print, 59.4 x 41 cm. Collection of Latrobe Regional Gallery. 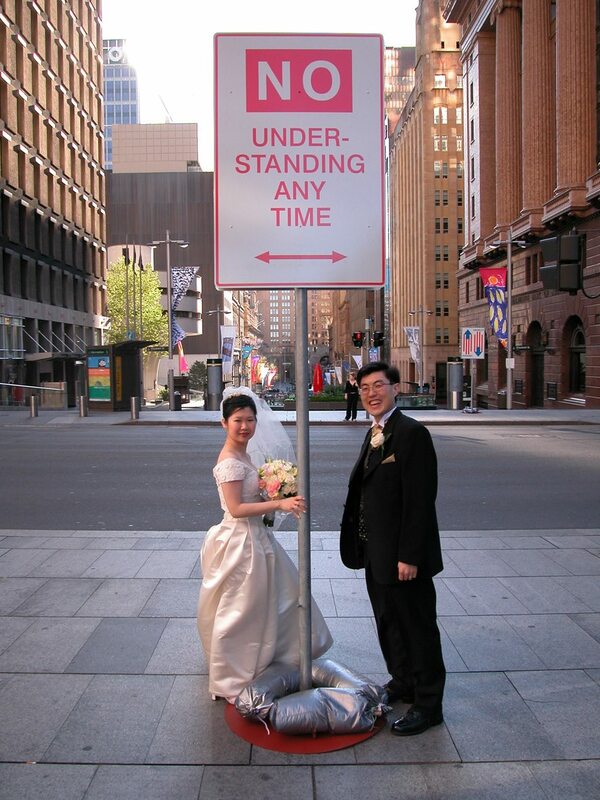 Image credit: Richard Tipping, No Understanding (Martin Place, Sydney), 2002, 2018, digital photographic print, 59.4 x 41 cm. Collection of Latrobe Regional Gallery. Richard Tipping: Art Word is a survey exhibition of Richard Kelly Tipping’s dynamic integration of art and words. His artworks engage with philosophical questions and are often wryly political, bringing the lyrical intensity and resonant depth of poetic language into the visual domain. Tipping is internationally known for both his manipulated and invented signs, using the templates of public signage to create pointed ‘idea-things’. Richard Tipping: Art Word includes a new large-scale sign installation, ‘In Advance of China‘; the first showing of frottage street-drawings from San Francisco, New York, London, Berlin and Morwell; as well as ‘typograph’ sculptures featuring concrete poetry in both granite sheet and natural stone. Tipping describes himself as a poet working in the artworld, and the interplay of text and material is central to his practice. Tipping’s word works develop from an interest in extending the visual boundaries of language, conveying his desire to create “textual objects which utilise the heft and dimensionality of sculpture”. Since his first solo show in 1978, Tipping has made sculpture using materials from granite and engraved wood to animated neon and die-cast aluminium, as well as a wide variety of works on paper. 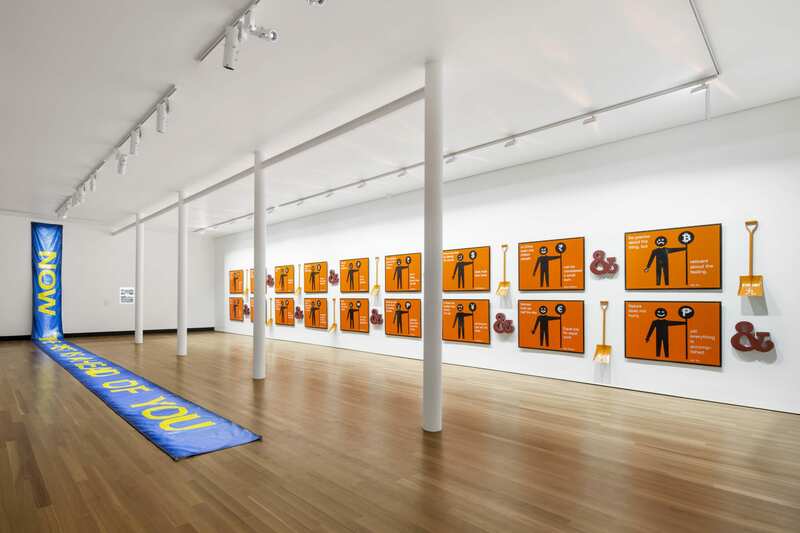 His humorous and politically charged versions of road signs have achieved international recognition. Acknowledged as “Australia’s foremost concrete and visual poet in a practice which spans more than forty years” (Anne Ryan, Curator of Australian Art, Art Gallery of New South Wales), Tipping is represented in depth in the National Gallery of Australia, as well as in international collections including the Museum of Modern Art in New York and the British Museum. 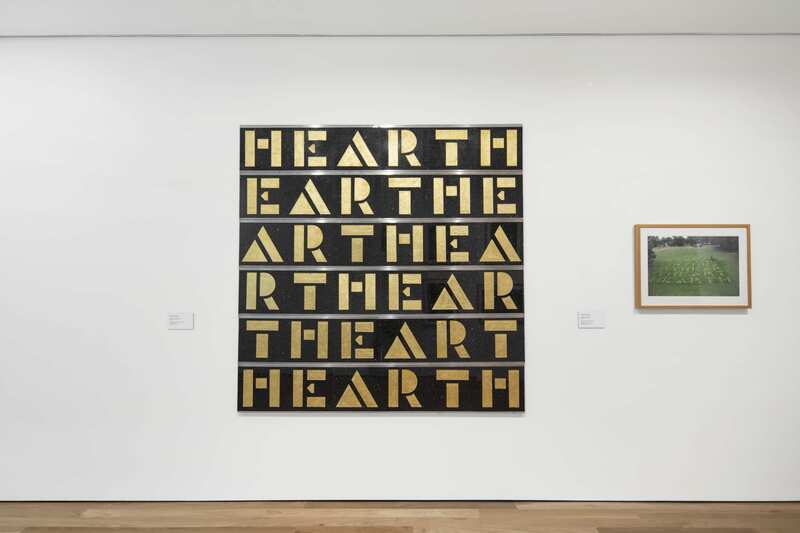 “Richard Tipping operates along the blurry boundaries between the verbal and the visual, creating amusing, sometimes illuminating works of concrete poetry. Installation view: Richard Tipping, In Advance of China 2018, Biennale Banner 1992 and Biennale Banner Documentation 1992 (Richard Tipping: Art Word: Signs, Drawings, Typographs) 21 July to 21 October 2018, Latrobe Regional Gallery, Morwell). Photograph by Benjamin Hosking, 2018. 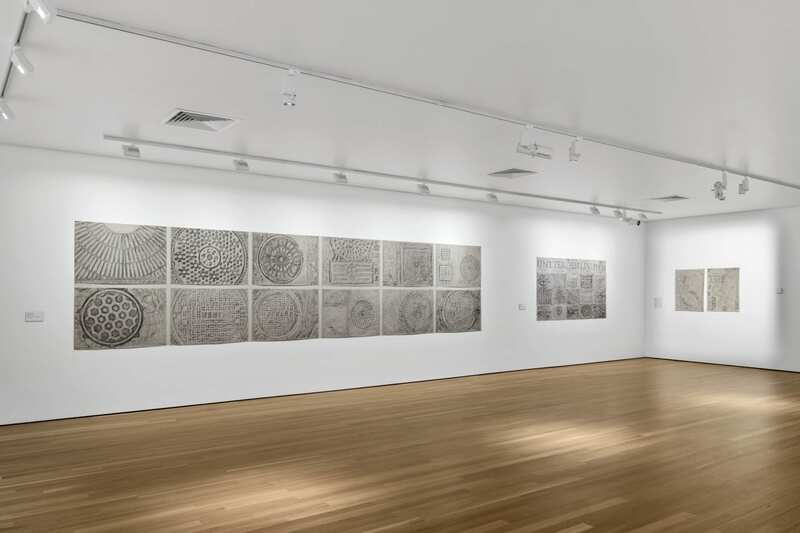 Installation view: Richard Tipping, Hearth-hear the earth 2008 and Frankston Lawnwork 2008 (Richard Tipping: Art Word: Signs, Drawings, Typographs) 21 July to 21 October 2018, Latrobe Regional Gallery, Morwell). Photograph by Benjamin Hosking, 2018. Installation view: Richard Tipping, Portrait of New York 1999, Unter den Linden 1999, Maybe Bebe 2016 and In Touch 2016 (Richard Tipping: Art Word: Signs, Drawings, Typographs) 21 July to 21 October 2018, Latrobe Regional Gallery, Morwell). Photograph by Benjamin Hosking, 2018.